The most successful motion picture of all time could help two antagonists to end their lengthy dispute, according to one optimistic analyst. Merriman Curhan Ford analyst Eric Wold says that Fox could make a Warner-type deal with Redbox and Netflix to ensure solid sales of the first iteration of Avatar on disc. Wold feels that Fox “would want to have a DVD distribution deal in place (and 28-day delay) with Redbox (and possibly Netflix) in order to spur additional DVD purchases at the expense of rentals”. Does Wold’s theory seem feasible, Insiders? Would concerns about initial Avatar disc sales bring Fox to the bargaining table with Redbox? Tell us what you think in the comments. They won’t have enough copies even after 30 days. This one will be the biggest rental of all time. If RedBox wants to stock their machines with Avatar the day it’s out on DVD, they can. Doing it for all movies, all the time, would be a problem but if they target a single movie (of which Avatar might be deserving), they could make a good effort and succeed. Even if they procure fewer copies than necessary to satisfy the demand (like that would ever be possible for anyone when it comes to Avatar! ), just the fact that they have that movie on April 22 would be good enough to attract people to their Boxes. Then they can sign the deal with Fox, if Fox still wants it. No one can say whether that is realistic but, by the same token, no one can say that it would not work. The main reason is that, traditionally, the biggest box office movies tend to underperform on the rental market. This is because people have a tendency to buy the product instead. Now, with Redbox only charging a $1.00, that might skew the results a bit so Fox has extra incentive to force them to a deal now. Especially if a special edition is coming out in the fall. Fox will want to puh sales of the initial release so that they can recapture sales with the special edition. This whole thing is still so very, very stupid. I’ve never been even tempted to buy a movie just because I didn’t want to wait through the 28 day delay. I pretty much know whether I plan to buy a movie, or simply rent it, well before I know whether or not it will have a 28 rental delay. Now, here’s where they’re only hurting themselves, with people like me: I have, on occasion, been prompted to buy a movie after having rented it, because I liked it that much. But, when a movie has a 28 day delay, I often forget that I even wanted to see it, because by the time the rental delay has passed, they’ve already stopped advertising that it’s been released to DVD. My life doesn’t revolve around movies. I don’t keep a mental file of what movies are coming out when. So, if the DVD release isn’t in my face, through advertising, I’m probably not going to rent OR buy it. That’s just a lost sale for them. I agree with the buying of a movie. Every movie I own I firs saw it in theaters or rented it and after finished watching it I said to myself ” i need this movie for my collection” and i try to buy it slightly used but working perfectly. The movie sits on my shelf and when I want to watch it or let someone barrow it its right there. Looks like i’ll have to head to my local Family Video for “Avatar” as well. so is Avator coming this April????? wasn’t it in theaters jest a couple of weeks back? Okay, I for one am getting sick of this. Haven’t seen AVATAR yet. A movie like that is one I will buy first chance I get. Not rent, BUY. Wouldn’t think twice about it. Except, see, they’ve gone and announced that there’s going to be a better version of it out in November. I loved ALIENS and love the Special Edition even more. I loved ABYSS and love the Special Edition even more. I fully expect to enjoy AVATAR and I expect that the Special Edition will add to the movie, in the way that ALIENS and ABYSS benefited in the SE treatment. Fox, I am NOT buying this movie twice. I’m tired of it. You are wanting me to NOT buy AVATAR when it comes out at the end of April. I want to see it, so it’ll be a rental. If Family Video sells off previously viewed copies after a month or so for their typical $9.95 or 7.95/3 for $21 and the movie is THAT good I’ll pick one up that way and the studio will not benefit from the sale much if at all. And I’ll wait for the SE in November to make my actual purchase. Congrats, Fox, you’re getting an impulsive movie buyer to STOP BUYING MOVIES. My wife will be happy with the change in behavior, she says we have too many movies and in looking at the many shelves of discs I actually have to agree I need to weed the collection out. But Fox, is this really what you folks want??? Fox knows that most people have no idea a special edition is coming out in November and that they will rush out buy Avatar just like you would have if you had not found out about it. Which just goes to show what a sad little system they have going. I hate when I have to buy a new charger for an updated gadget but buy it I do. All the CE companies do it. This is greed. If they want to sell the 30.00 version so bad why put out the cheaper DVD. People are either willing to fork over 20 buck’s to buy a movie or not and it won’t make any difference on the rental’s. My son in law has to own every movie he watches. I would never buy a movie. People are set in their way’s and Redbox won’t change a thing. What is the author blabbering about? 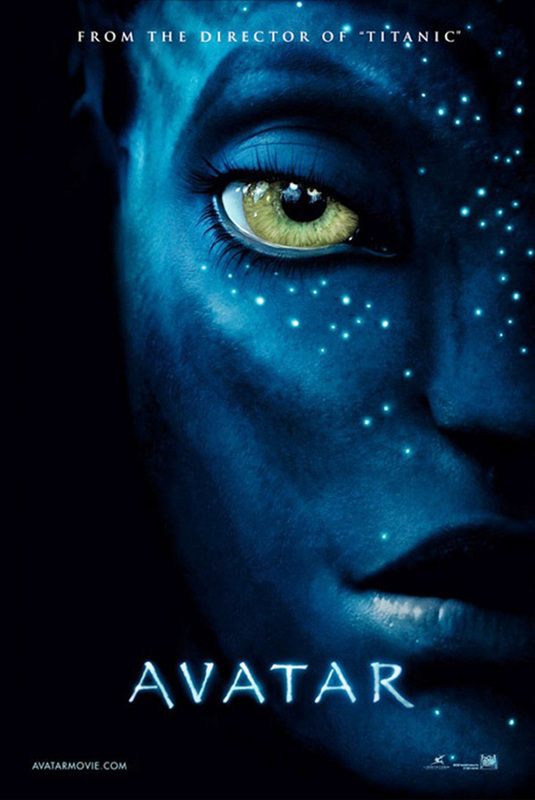 Anyway, Avatar will be available at the Redbox on April 22nd for $1.06. End of Story. Strong advice you to reserve it online before going to the kiosk. no it won’t, Avatar get released the 20th with a 28 day waiting period. You won’t get your Avatar until May 11th or so. That is not currently how it works. Redbox has no agreement with Fox, so they use their work around to get Fox movies. If an agreement is reached, then yes, we will likely see such a delay. If not, Redbox will have Avatar a few days after release, as they usually do with workaround titles. As I said before, what’s another 28days for a buck rental. I might rent to refresh the memory of the movie then next year i’ll buy used on Ebay, watch again and add to the collection. Hollywood needs to make their money with ticket sales. This movie is a good example of what got me back in the theater, excellent eye candy on a digital screen with an awesome sound system. I would paid to see it again if shown year from now. HOLLYWOOD…. Listen up! PRODUCE QUALITY MOVIES! That will get your patrons back. 28 days wait before rental….. I guess the next thing when this don’t inflate your pockets will be to ban rentals. Lobby the Government, they will help you get a national rental ban bill passed. Why it costing 2.00 a nite at blockbuster?